A treadmill is a great option for home workouts, letting you get all the benefits of a cardio workout from the comfort of your own home. Walk, jog or run on an incline to burn calories efficiently and work towards your fitness and weight goals around the clock with no worries about the weather. Whilst you can spend over £5000 on a running machine, you don’t need to break the bank in order to get one for your home. A cheap treadmill might in fact be more suited to your needs. So let’s look at what you can expect from budget treadmills, who and what they are suitable for and what to be looking for when browsing and buying a budget treadmill. What is a budget treadmill? To start off with, let’s look at what makes a budget treadmill a budget treadmill. 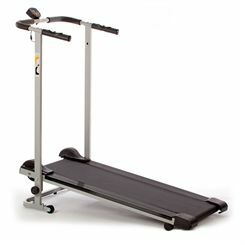 • Price – we’d class a treadmill as a budget machine when it costs up to £500. The cheapest of treadmills are probably manually powered (ie they have no motor and your motion alone moves the belt), but at around £400-£500 are motor powered machines. These figures are estimates and can change depending on special offers or discounts, so we need to look at other factors too when defining the budget treadmill. 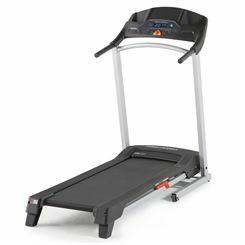 • Size – in general, cheap treadmills are small in size. The deck will be classed as small measuring about 40cm wide by 120cm long. Extra small decks are smaller than this and a lot of them don’t satisfy safety requirements. We do not sell such machines. The budget treadmill's smaller size means naturally they have a smaller footprint and take up less space at home which is just what a lot of people look for. • Purpose – given the size of the deck, they are ideal for walking and jogging a couple of times per week. If you’re shorter – roughly 155cm or 5’1” tall – then running should be fine. If you’re planning on training for a marathon or want to run regularly (or even jog but have long legs!) then look for a larger machine. • Motor – the motor in a budget treadmill will have an output of about 1-2CHP, giving most a top speed of 10mph (16kph) and a max incline of up to 10%. This speed and incline range will be adequate for walking and jogging. Some might even have manually powered incline levels. • Functions – you can expect workout programs, hand pulse sensors for heart rate measurement and a display screen giving your session feedback. Some of the better cheaper treadmills do offer functions such as wireless heart rate receivers, Bluetooth and interactive training compatibility, music port and speakers, user profiles and other such features. • Folding system – the vast majority of treadmills, including budget ones, have a folding system which is great for reclaiming floor space when not using the machine. So should I buy a budget treadmill? Yes absolutely if what you’re looking for is an efficient piece of home workout kit to burn calories and get fitter by walking or jogging a couple of times a week. Budget treadmills will suit a huge range of people and are an excellent addition to homes and fitness schedules. Just keep in mind the above information and know who will be using the treadmill and what the planned purpose is. 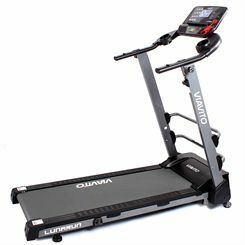 If you know that a budget treadmill is for you then scroll up this page and check out the machines we currently stock, including ones from top brands such as DKN, York and Viavito. If you want to find out more about treadmills in general then head to our main treadmills page where there’s a more detailed explanation of treadmills and what to consider when buying treadmills. If you need any further advice about treadmills don’t hesitate to contact our sales team who will be more than happy to help you out. One final thing. 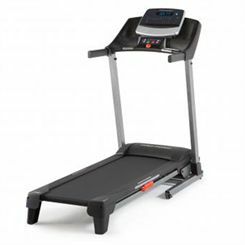 Do be aware that some cheap treadmills available online are dangerous and do not meet European safety requirements. We do NOT sell such machines at Sweatband.com and never will.